Eyelash Extensions @ Highbrow via Vaniday! Since I'm a huge sucker for mascaras and having long lashes, I've always loved the idea of eyelash extensions as they always help me save tons of time doing makeup in the mornings - which is also a major lifesaver for me since I often have to wake up at ungodly hours for work. Through the help of Vaniday, I managed to book an appointment for eyelash extensions at Highbrow! Highbrow provides beauty services such as eyebrow embroidery, facial treatments, eyelash extensions, eyeliners and definition. With 3 outlets located throughout Singapore, I chose the one at Capitol Piazza since it was the also most convenient branch for me! Here's a brief overview of their price plan for Eyelash Extensions! Upon arriving at Highbrow for my appointment, I was brought to one of their rooms to have my eyelash extensions done! 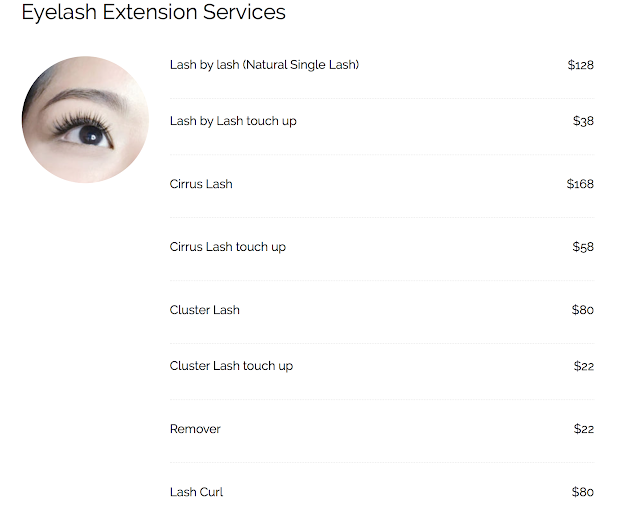 And since they specialise in a couple of eyelash extension services, I chose the lash by lash extension as I wanted long, yet natural-looking lashes. Before adding the eyelash extensions on! The whole process took around 1 hour and 30 mins and I slept like a baby for the most part! The beautician was also really patient in answering of my questions pertaining to the lashes - how long I can keep them and the ways which I can take care of them! If kept well, these lashes can last around 2 weeks or more! After getting my lashes done! A mixture of 10-12mm lashes were used, from the shorter lashes at the inner corners of my eyes to the longer ones at the end. Best part? It's extremely light-weight and comfortable too - almost feels like I haven't had any extensions on! I always opt for natural looking lashes since I'm not a fan of the more dramatic lashes, and the beautician at Highbrow really delivered what I want! At least now I can still look decent without putting on makeup, heh! For those who are also interested in having your eyelash extensions done at Highbrow, you can also book an appointment with them through Vaniday! 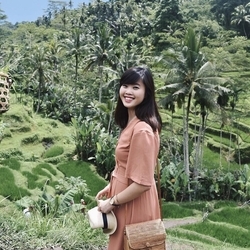 Vaniday is a beauty app and website that helps you find beauty & wellness services easily! There, you can find your next massage salon, discover a trendy new hairdressers or a great nail salon. Discover beauty salons and services in your area and check the availability of dates and times for whenever suits you best. You can also compare prices, select your desired service with a few clicks and make online payments. After booking, get immediate confirmation for your beauty treatment!